In order to strengthen cooperation between researchers, European Consortium of Innovative Universities (ECIU) established joint research mobility fund, aimed at professional development, knowledge and good practice exchange in the context of high quality research in 2018. Eglė Butkevičienė and Lina Dagilienė, researchers from Kaunas University of Technology (KTU), were among the first to use the opportunity. “KTU’s membership in ECIU is beneficial for every researcher of the University. 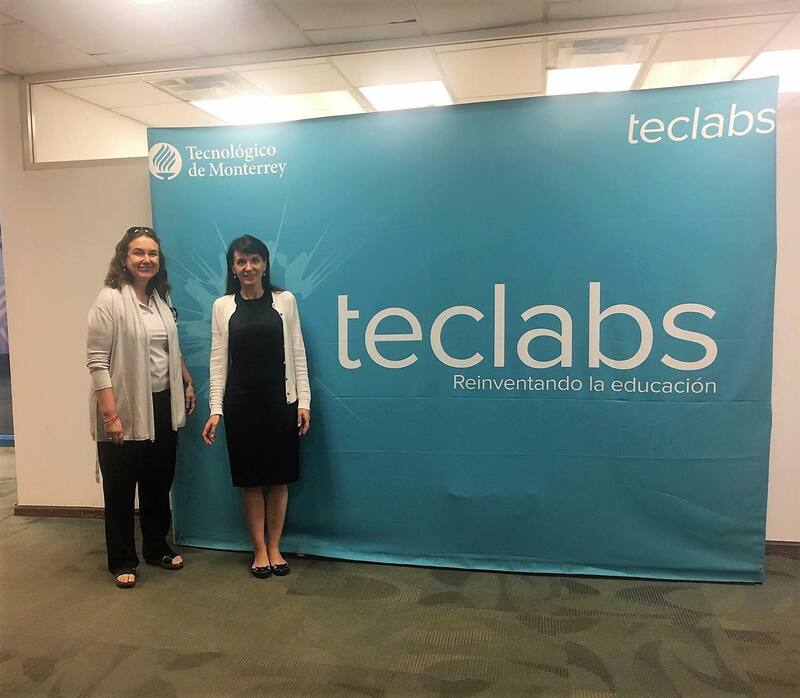 It benefits our image and opens new opportunities to disseminate information”, says Eglė Butkevičienė, Vice-Dean for Research at KTU Faculty of Social Sciences, Humanities and Arts, who visited Tecnológico de Monterrey (Mexico) in the end of the last year. Lina Dagilienė from KTU School of Economics and Business used the mobility to expand her knowledge in circular economy research in the University of Twente (Netherlands). Both researchers are convinced that the main value of the ECIU mobility lies both in new knowledge and new contacts and networking opportunities. Distance learning technologies are of upmost importance to KTU as the University has quite a few joint programmes with other universities. One of them is double degree public administration study programme together with the University of Central Florida (USA), which is starting this year, 2019. Although students of this programme will have the possibility to travel to the UCF and KTU will accept students from the US, more efficient distance learning methods would allow them to participate in lectures more actively. “The secret behind the success of ECIU research mobility is common research topics. When the researchers are united by research field, there is higher interest from both sides and high probability of interesting results”, says Lina Dagilienė, researcher from KTU School of Economics and Business who spent a month carrying out research in the University of Twente. Dagilienė’s research topic is connected to circular economy and she is convinced that Dutch scientists are very advanced in this field. According to her, the Netherlands are among the leaders in circular economy, their businesses are aligning their activities according to circular economy principles. Unfortunately, in European context, Lithuania is lagging behind. KTU joined European Consortium of Innovative Universities in 2016, and is the only Lithuanian university in this network. ECIU research mobility fund is open to all the fields of research, with the priority given to the research in the topics of Smart Society and Industry 4.0. Development of entrepreneurship and innovations in research are considered an advantage.